NAVIGATION, PARK ASSIST, REVERSE CAMERA, BLUETOOTH, DRIVING ASSISTANT and MORE! 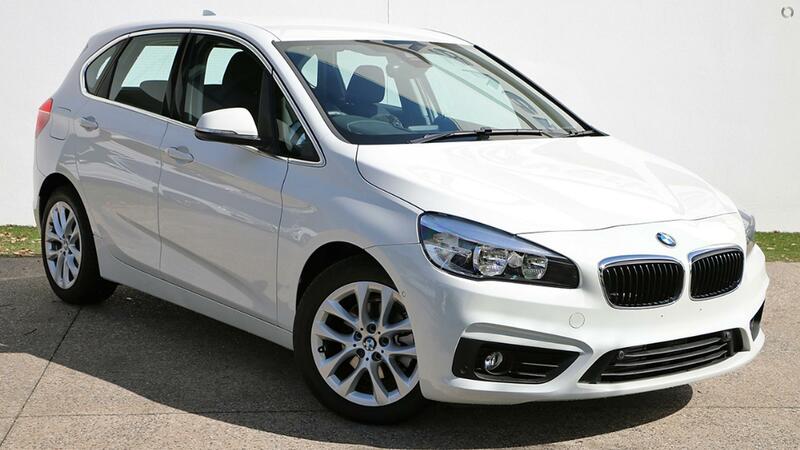 Just arrived, and full of great features, this stunning BMW 218i Active Tourer represents fantastic value! Finished in Alpine White and complimented with Black Anthracite Interior Trim, be the FIRST OWNER of this BMW Today! - Real Time Traffic Information and more! Full of features do not miss this incredible opportunity to buy BMW Approved! With the balance of BMW Factory Warranty and BMW 100 Point Inspection, you can buy with confidence from our BMW facility conveniently situated just off the Monash Freeway at the Ferntree Gully Road exit. Finance is available to approved purchasers through BMW Financial Services. Trade-ins are welcome and parking is onsite. Located in Melbourne's eastern suburbs, BMW's newest dealership offers a state of the art facility featuring an extensive range of new, demonstrator and BMW Premium Selection Ultimate Driving Machines. The Ultimate is now closer than you think.